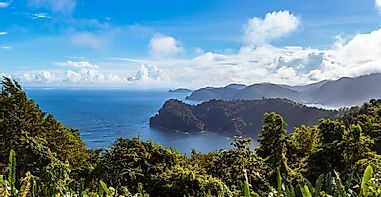 Cuba, the largest island country in the Caribbean, boasts of housing a number of endemic animal and bird species as presented herein. 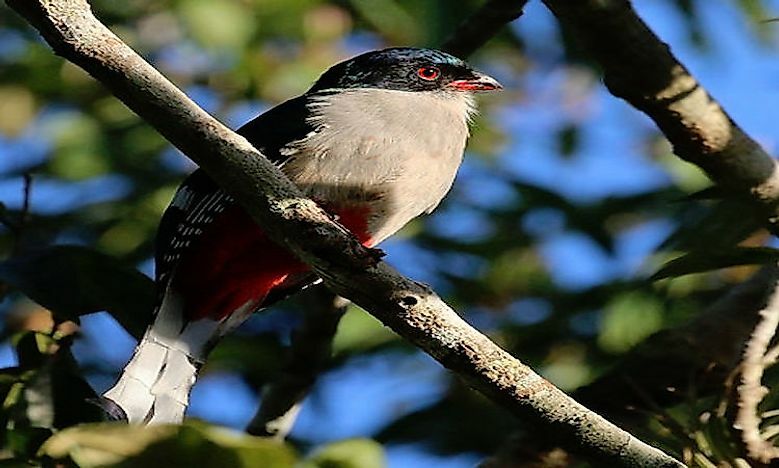 The Cuban trogon is a Cuban endemic species and is the national bird of Cuba. 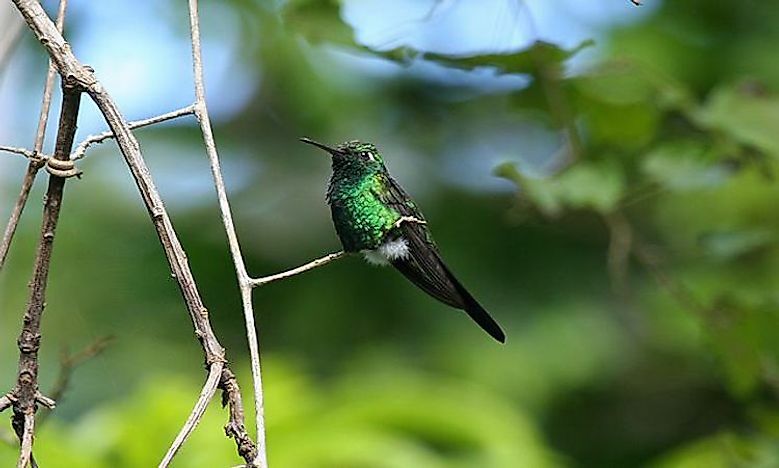 Locally known as the zun-zun, the Cuban emerald (Chlorostilbon ricordii) is a hummingbird species inhabiting a wide range of habitats in the islands of Cuba and the Bahamas. The birds feed throughout the day and are often spotted on wires, resting after such feeding episodes. The male Cuban emerald is about 10 cm long and is bright, metallic green in color. It also adorns a white spot behind the eye, a bluish tinge on the breast, and a black, forked tail. The females have a more subdued color with a gray breast, belly, and throat. The critically endangered Cuban crocodile (Crocodylus rhombifer) is a reptile that is endemic to Cuba. It is the most terrestrial of all crocodile species. Fish, turtles, and small mammals form the prey base of these crocodiles. 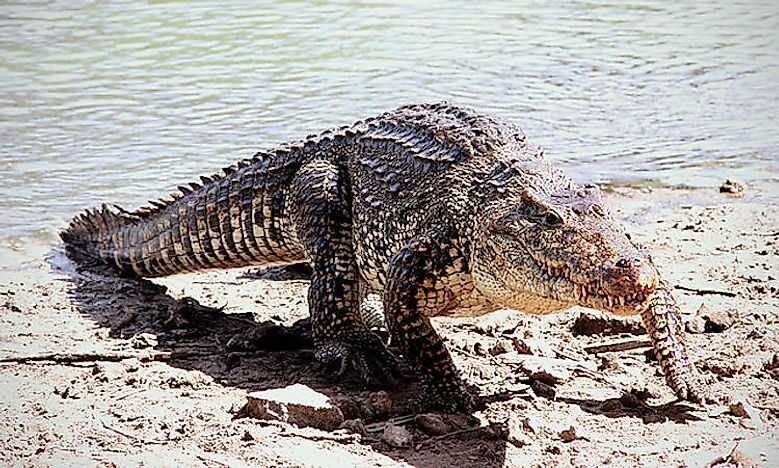 The Cuban crocodile is a highly aggressive animal and is known to attack humans. However, human persecution has highly reduced the numbers of this crocodile. 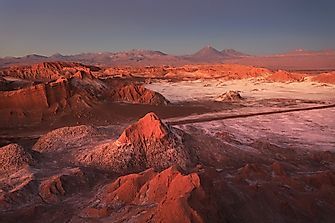 Captive breeding projects have currently been implemented to recover the population of this species. 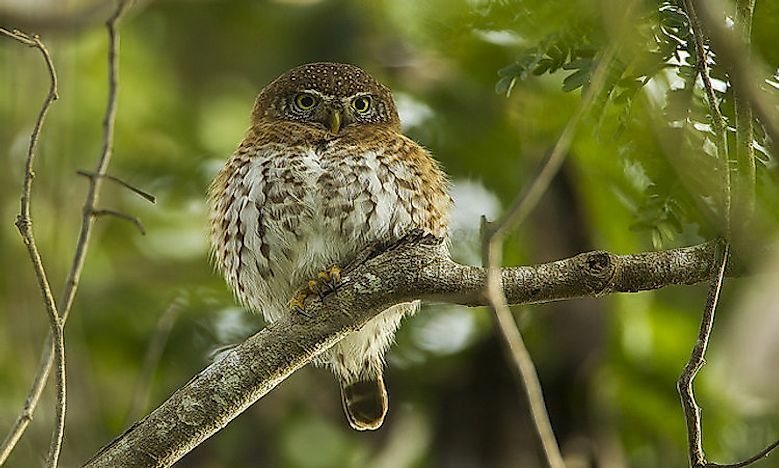 The Cuban pygmy owl (Glaucidium siju), a Cuban endemic species, inhabits the moist and dry forests of the country as well as the heavily degraded former forests. The owls tend to occupy holes in trees, often those left by woodpeckers. Two morphs of the pygmy owl exist, the red morph and the gray morph. The Cuban pygmy owl like other pygmy owls can be seen and heard during the daytime. The blue-headed quail-dove (Starmoenas cyanocephala), one of the endemic birds of Cuba inhabits the lowland forests and swamps of the island where it forages on the forest floor for snails, berries, and seeds. The birds live in pairs or large groups of up to 18 to 20 individuals. 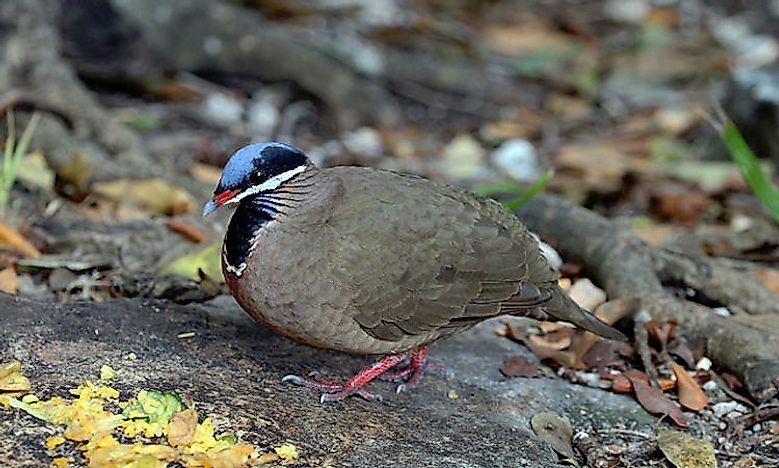 Though once widespread, the blue-headed quail-dove is today virtually extinct in most parts of its range. Only around 1,000 to 2,499 individuals of this species survive today. Hunting for meat and habitat destruction are the two major threats to this species. The lucifuga is a genus of fish which gives birth to live young and hence are classified as viviparous brotulas. These aquatic animals in Cuba are native to Cuba and the Bahamas where they live in the various caves and sinkholes in the coastal regions. The lucifuga are classified as vulnerable by the IUCN. The Zapata rail (Cyanolimnas cerverai), endemic to the island of Cuba, inhabits the Zapata Peninsula wetland in Cuba. The Zapata rail is a medium sized bird with short wings and poor flying ability. Today, the bird is classified as critically endangered by the IUCN. Predation by catfish and invasive mammals, habitat loss, climate change, and tourism threaten the survival of this species. The Zapata wren (Ferminia cerverai), another one of the endemic birds of Cuba, inhabits southern Cuba’s Zapata Peninsula where it inhabits the dense shrubs in lowland savanna and freshwater marsh regions. 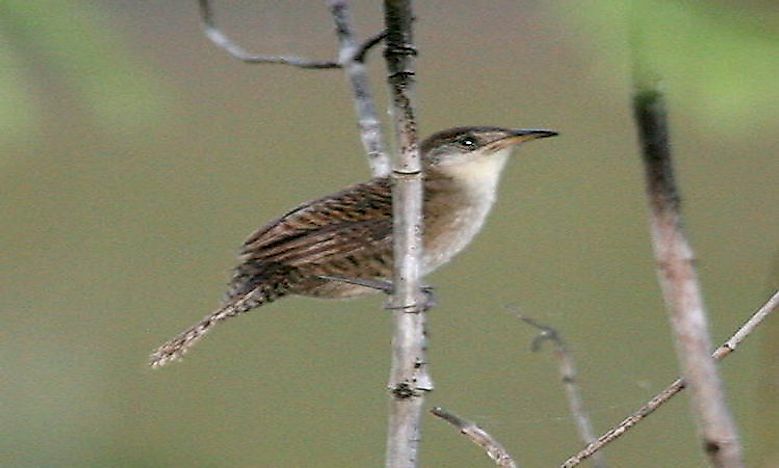 The bird prefers to build their nests in sawgrass tussocks and feed on insects, lizards, spiders, snails, etc. 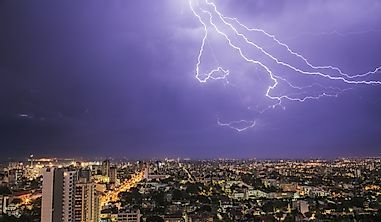 Predation by non-native invasive species like mongoose and rats, replacement of wild habitat by agricultural lands, and drainage of wetlands threaten the survival of these endangered birds of Cuba. The Zapata sparrow (Torreornis inexpectata) is a Cuban endemic bird that is found in the grasslands of the Zapata Swamp and some other parts of Cuba. These birds were first discovered in 1927 by Fermín Zanón Cervera, a Spanish zoologist. Seeds, flowers, snails, insects, and spiders constitute the diet of these birds. The Zapata sparrow is currently classified as endangered by the IUCN. Wildfires, destruction of habitat for tourism and cultivation, and wetland drainage are the biggest threats to the survival of these birds. 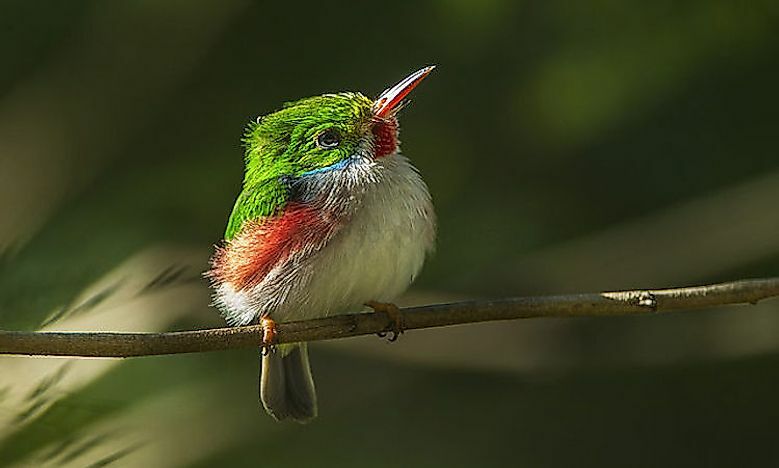 The small and colorful Cuban tody (Todus multicolor) inhabits Cuba and its adjacent islands and is one of the most commonly sighted birds of Cuba. These birds inhabit a wide variety of habitats in Cuba where they stay year-round. 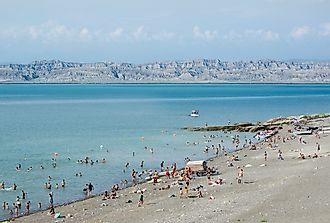 The bird can be spotted near rivers and streams, in coastal areas, dry lowlands, as well as evergreen forests. Insects are the primary food source of the Cuban tody while lizards, spiders, and fruits are also preferred. 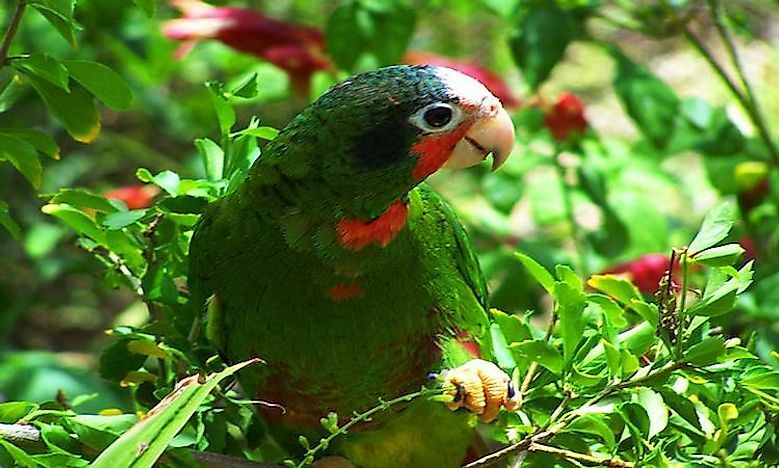 The Cuban parrot (Amazona leucocephala), or the Cuban Amazon is found in the dry forests and woodlands of Cuba, Cayman Islands, Bahamas, and other Caribbean Islands. The parrots feed primarily on fruits and seeds. The seeds of palm trees and the West Indian mahogany are highly preferred by them. The brown anole (Anolis sagrei) or the Bahaman anole is a species of lizard that is native to the Bahamas and Cuba. Notable among the animals in Cuba, this species has now been introduced to many other parts of the world, often as pets. 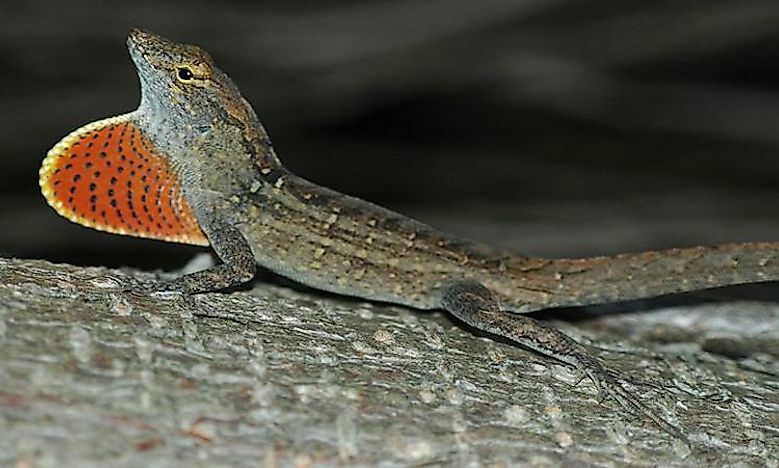 The brown anole is an invasive lizard species and has been known to quickly multiply and replace populations of native lizards in countries where it has been introduced. The brown anole feeds on small arthropods, other lizards, eggs of lizards and their own detached tails and molted skins. The lizards are known to drop off their tail when threatened to divert the attention of their predators and escape as the predator shifts attention to the wiggling tail. 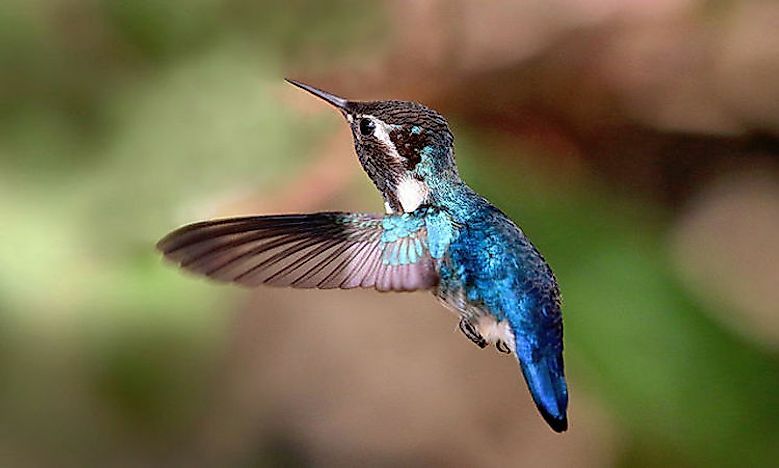 The bee hummingbird (Mellisuga helenae), one of the birds of Cuba is endemic to the country. It is a prolific pollinator and is known to visit at least 15 plant species belonging to 15 plant genera. It feeds on the nectar of the flowers of these plants and occasionally feeds on insects and spiders. The bee hummingbird is the smallest bird living today, weighing around 1.6 to 2 g and has a length of 5 to 6 cm. It lives up to its name, being hardly larger than a bee. 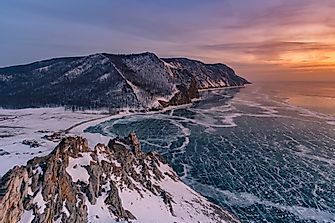 It's brilliant, luminous colors often give it the appearance of a piece of jewel. The Desmarest's hutia or the Cuba hutia (Capromys pilorides) is a rodent that is endemic to Cuba and thus finds mention in our list of animals in Cuba. The species inhabits the mangroves in northern Cuba while in southern Cuba, these animals prefer a terrestrial habitat. 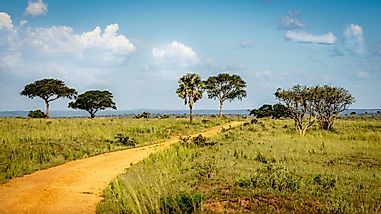 The hutias were once hunted for food by man, but a wildlife law was passed in 1968 making it illegal to kill the hutias in Cuba without the permission of the Government. 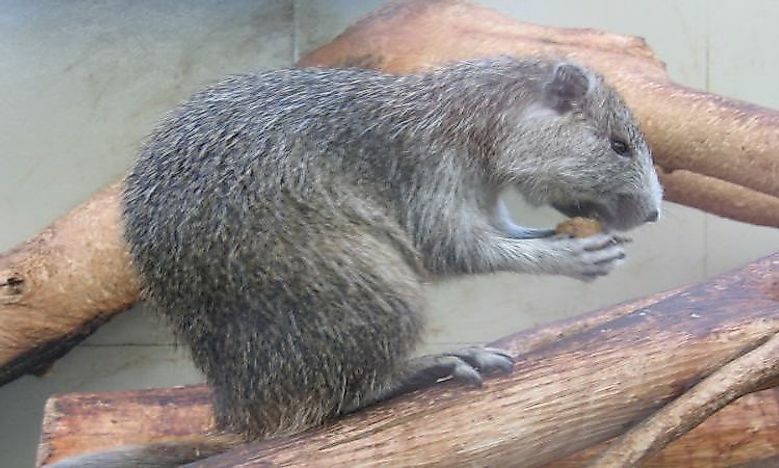 Thus, the Cuban hutia is the only species of hutia that is in the Least Concern Category of the IUCN Red List. 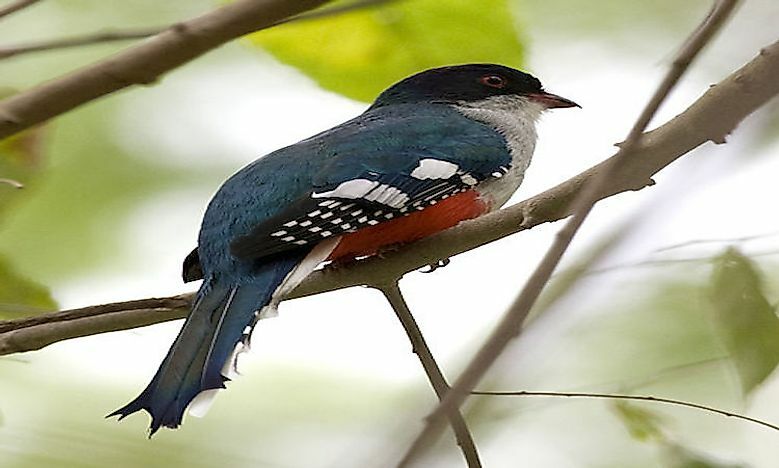 The Cuban trogon (Priotelus temnurus) is a Cuban endemic species and is the national bird of Cuba. It is a very colorful bird with a blue crown, green back, red beak and belly. 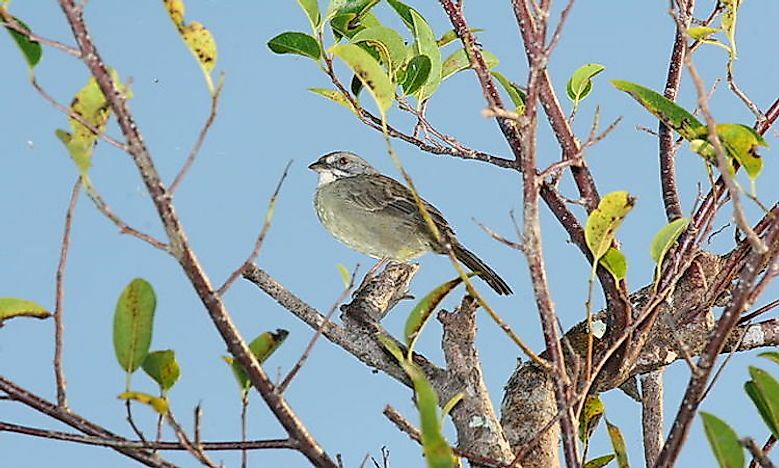 The bird inhabits dry and moist forests in Cuba and is found all across this Caribbean island. It nests in the crevices of trees and feeds on fruits, flowers, and insects.